The heat from the potatoes sneaks up on you. During the first couple bites you only notice the depth of flavor. Then, after pausing to take a break, your mouth is on fire. You take a sip of a drink to cool down. Then you crave more. The cycle then repeats itself over and over again. 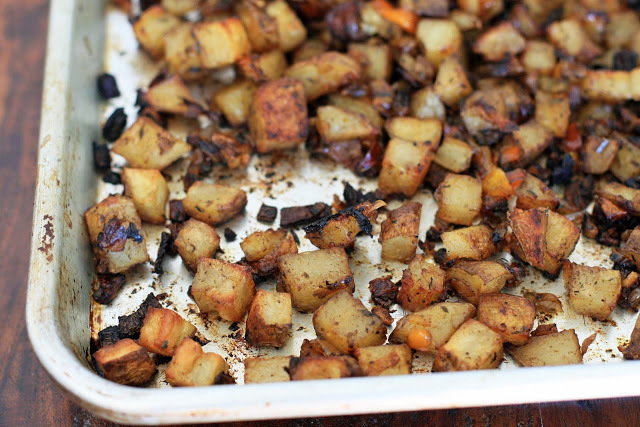 These are a great break from your standard roasted potatoes. 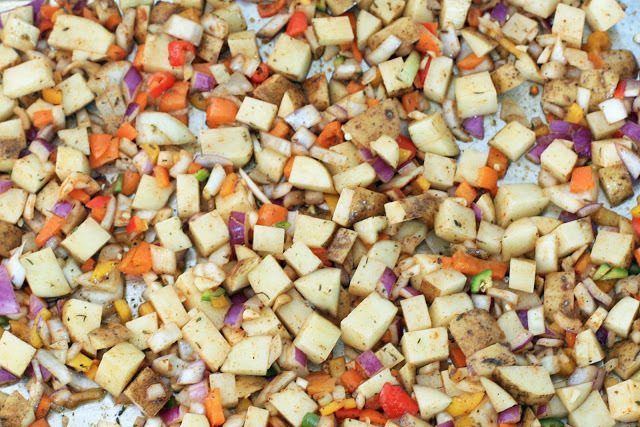 They’re loaded with colorful onions and peppers and coated with a unique spice blend. A good friend of mine would probably be embarrassed if he knew that I’m telling you he used the words of John Mellencamp to describe the heat of these potatoes: “it hurts so good.” And so said friend shall remain nameless. But really, you might want to pair these with a mellower main dish or, if you’re really heat intolerant, de-seed the Serrano or cut back on the cayenne. Preheat oven to 450 degrees. 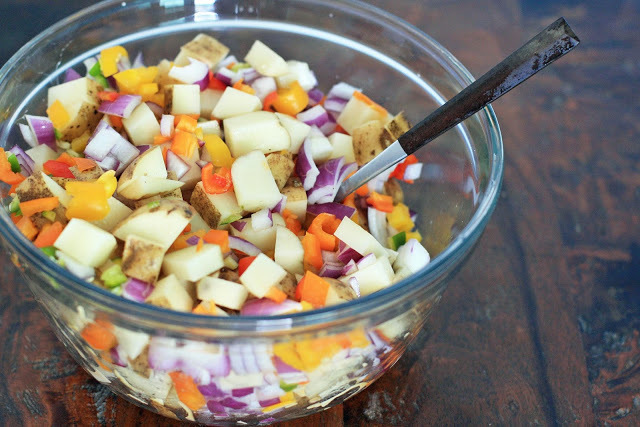 Combine all ingredients in a large bowl and toss well to coat. Spread evenly on a lightly greased half sheet pan. Roast for 40-50 minutes, turning the potatoes once 20 minutes in, until the potatoes are browned and crisp. For extra crispy potatoes, broil for a couple minutes at the end of the baking time, keeping a watchful eye on the oven to prevent burning.